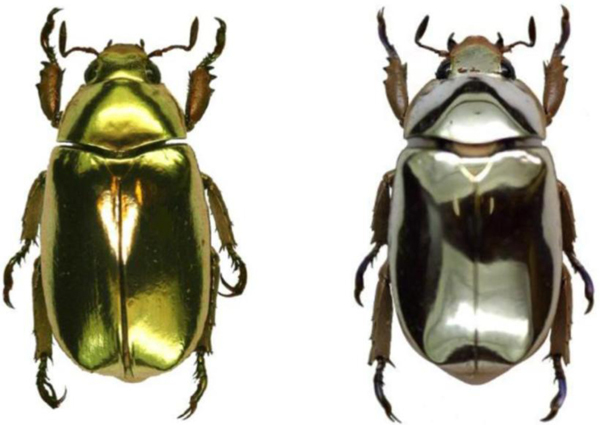 These radiant gold and silver beetles (Chrysina aurigans [left] and Chrysina limbata [right]) live in the dense rainforests of Costa Rica. And they’re gorgeous. We only wish we could wear precious metals from head to toe. Shamefully, these insects actually use their reflective bodies to hide amid vegetation by replicating shiny surfaces like beads of water. 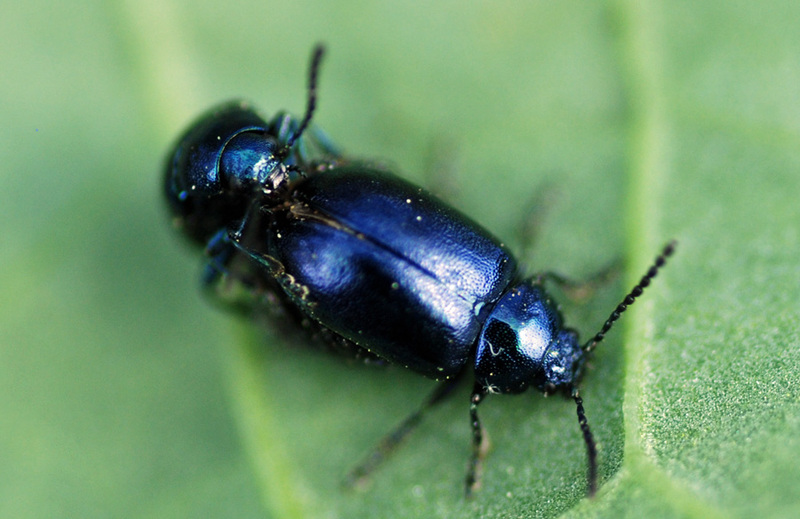 The lustrous blue of the Green Dock Beetle. 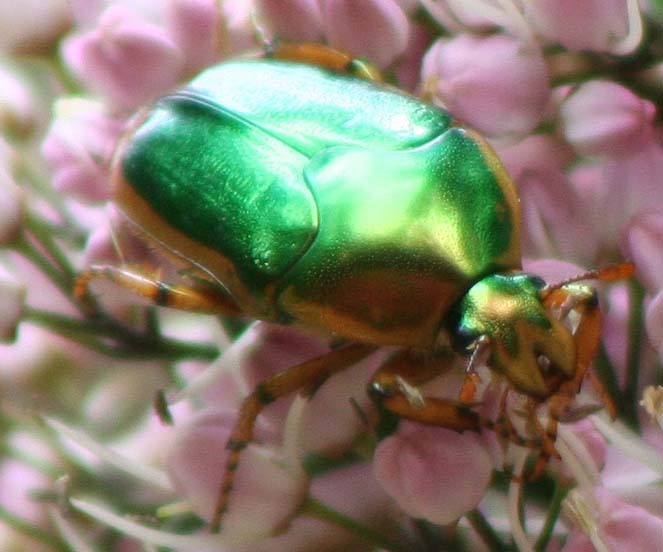 The green sheen of the Metallic Scarab Beetle. 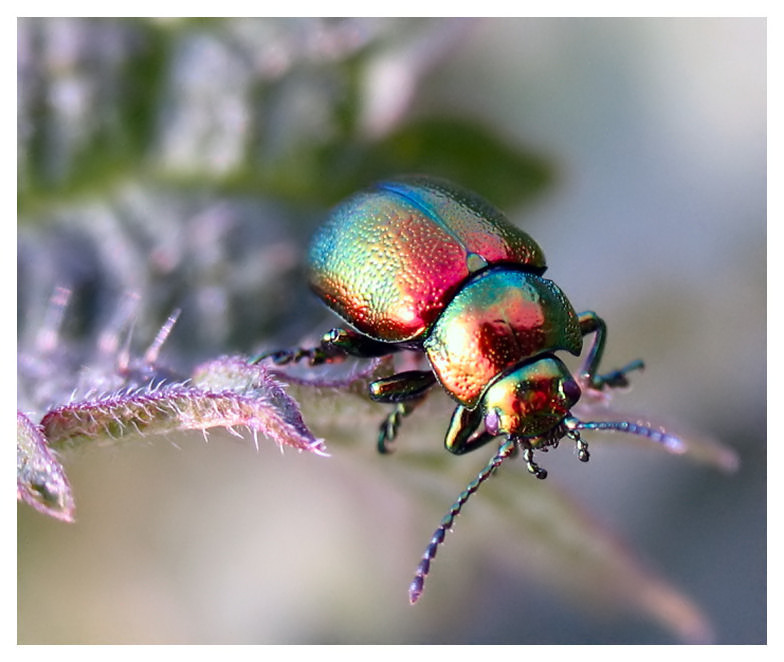 The iridescent opalescence of Chrysolina Fastuosa. 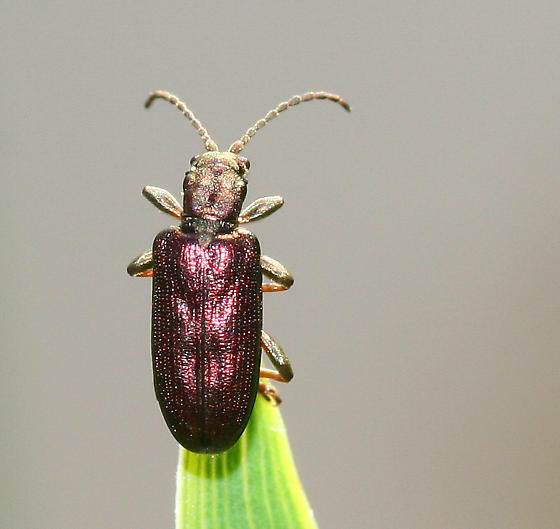 The glitzy gloss of the Purple Metallic Beetle.